Kerala NEET 2nd Round Counselling: Kerala Commissioner for Entrance Examinations is conducting NEET State quota medical/dental counselling. According to the counselling schedule, 2nd round counselling will be held soon. Self-Financing Medical, Dental, Ayurveda, Siddha and Unani colleges are included in this phase of seat allotment. All candidates who had filled online counselling registration form can take part in 2nd round counselling. The candidates who want to change their allotted colleges to be considered for this phase of allotment. Remember, those who do not confirm their locked options online will not be considered for the allotment to Medical and Allied coursed and also their higher options in Medical & Allied courses will not be available in the subsequent phase. However his/her existing allotment, if any, shall be retained. 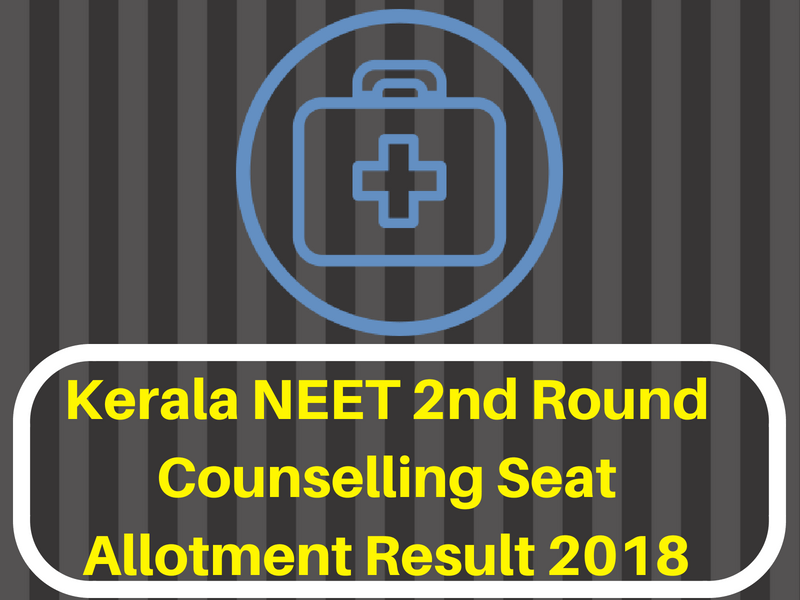 The counselling authority will publish Kerala NEET 2nd phase seat allotment result on their official website. All candidates who appeared in 2nd round counselling will be able to download their seat allotment card. We will upload the result here as soon as we get. Candidates are advised to recheck this page for more updates.